Finally, the sun is shining! It’s time to do all of those things that summer makes possible. It’s time to garden, cook, can, read, and relax. 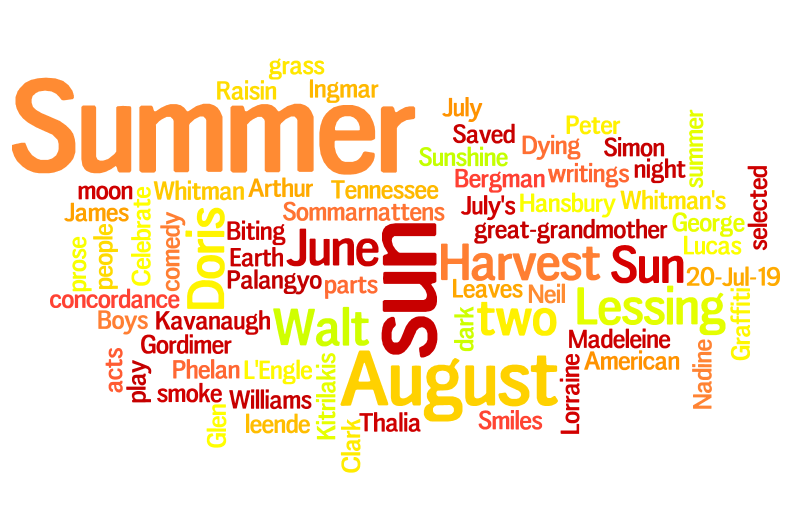 July’s selection of books and videos is all about the summer and the hot hot sun. Come in and check them out! Earth, Sun, Moon by Glen Phelan. And many more on display! Happy summer!